A Visit to the U.S.
On April 1st, we flew back to NC to visit family and friends!!! We were in Chapel Hill for just one day and then drove to PA to visit my grandmother for an early birthday celebration. She turns 97 on April 11th! Gammy is doing very well; she is an inspiration to us all. It was a great visit. We were very fortunate to overlap one night with my sister, her oldest daughter, son-in-law and grandson (who is 5 months old) from MN. It was wonderful seeing them all!! We all left a bit tired, but it was worth it, for sure. We drove back to Chapel Hill on April 5th and it’s been a busy time ever since we returned. We have been catching up with our children, other family and of course our friends. We have also been shopping for supplies, too. My list is a long one! Eddie returns to Costa Rica on April 16th and I will return on May 1st. I have extended my trip in order to visit my cousin Catherine and her parents in MI. They all are very special to me and I decided this was a good time to see them. 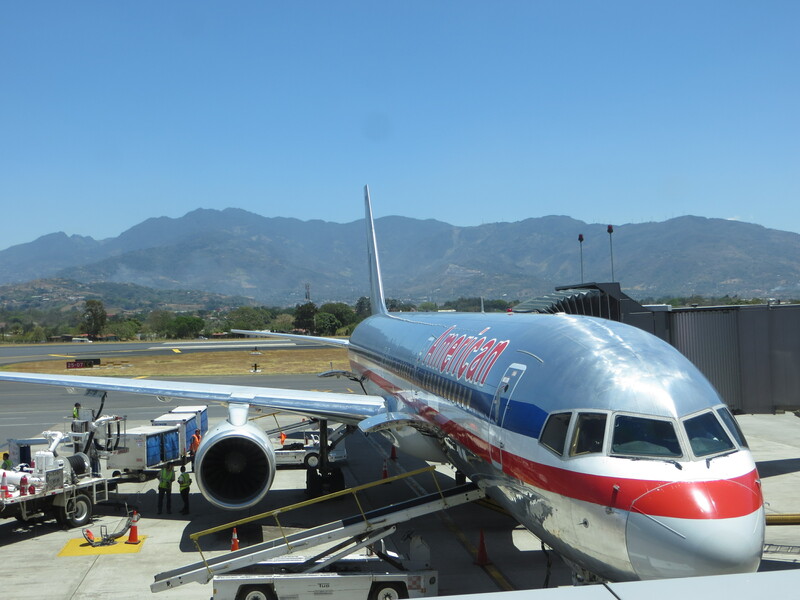 So, our adventures in Costa Rica are on hold for a little bit. 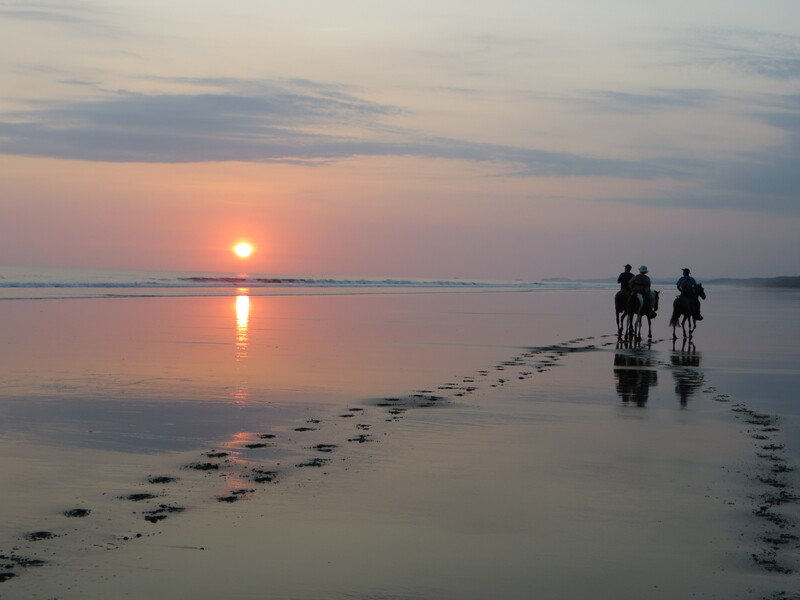 When we are back into the swing of things there, we plan to take a horseback riding tour along the beach…hope we have a nice sunset tour like the one we photographed. 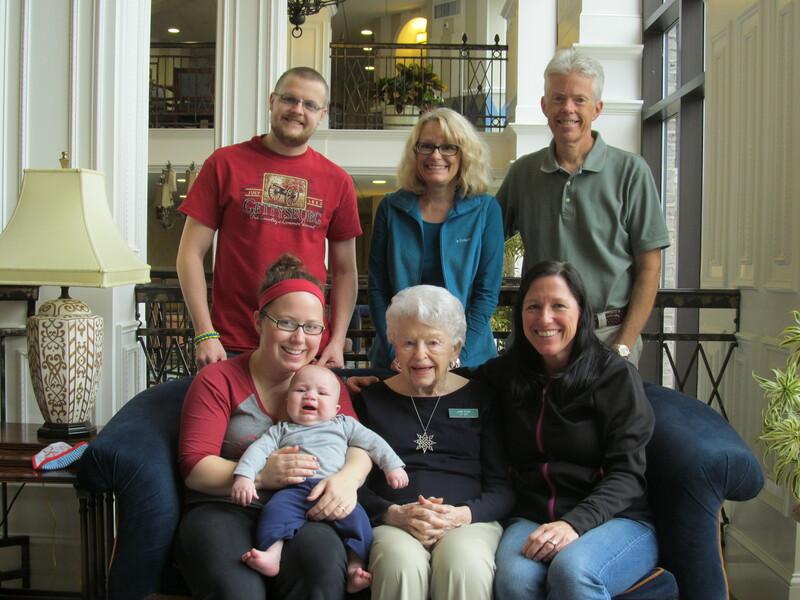 Your Grandmother looks wonderful – a fabulous family photo!